Here's what to expect, in their own words. 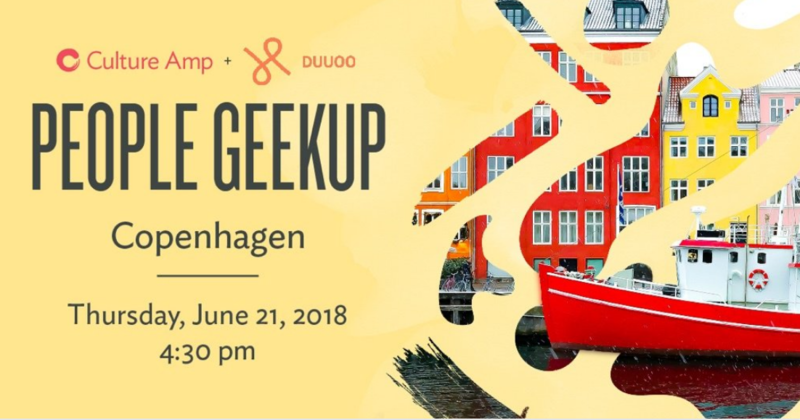 Culture Amp's People Geekup series is coming to Copenhagen for the first time. Join Culture Amp and Duuoo, amongst others for a discussion on the latest people and culture trends in organisations. Businesses globally are constantly being challenged to ‘deliver’ innovation, to be ever more creative. It’s not as simple as having an ‘innovation team’ or ‘innovative’ being a company value so how do you stay in front? On June 21, we invite you to join the conversation with us - and some of the most exciting companies from Europe and the UK as we discuss the ‘innovate or die’ mentality, engagement and how to create a culture that fosters innovation.